Today via the Eagle Force Returns Facebook Page comes this awesome side-by-side comparison of the original Eagle Force Sgt. 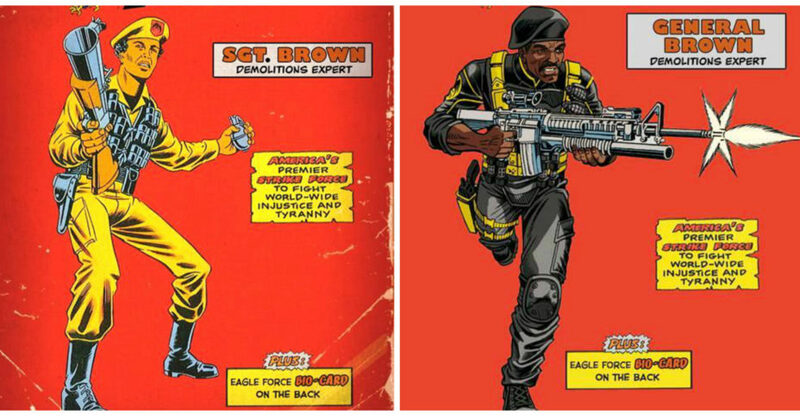 Brown and his updated persona, Eagle Force Returns General Brown! Still acting as the Eagle Force Demolitions Expert, many have asked how/why General Brown received a promotion, while Captain Eagle remains at the same rank. 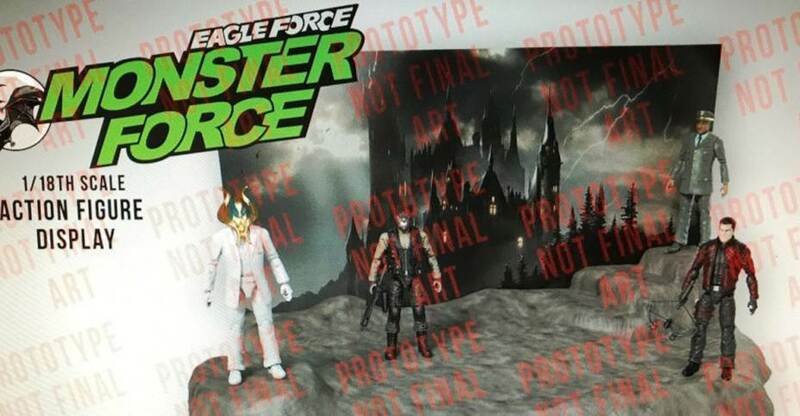 No worries, the answer to that question and many more are coming our way via the Eagle Force Returns Trading Card Set. General Brown looks fantastic and will make a welcome addition to the Eagle Force line up coming our way this summer via Kickstarter. What are your thoughts on this side-by-side? Sound off after the break! 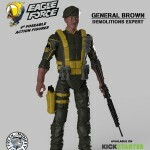 HissTank.com is proud to bring you another Eagle Force Returns figure reveal – None other than the Eagle Force Demolitions Expert, General Brown! Now, for those familiar with Eagle Force, you may notice that the good General has seen a promotion since his days as Sgt. Brown. To learn more, we’ll just have to wait for his Bio! Excitement for the upcoming Kickstarter campaign is growing by the day and General Brown has just added even more fuel to that fire! 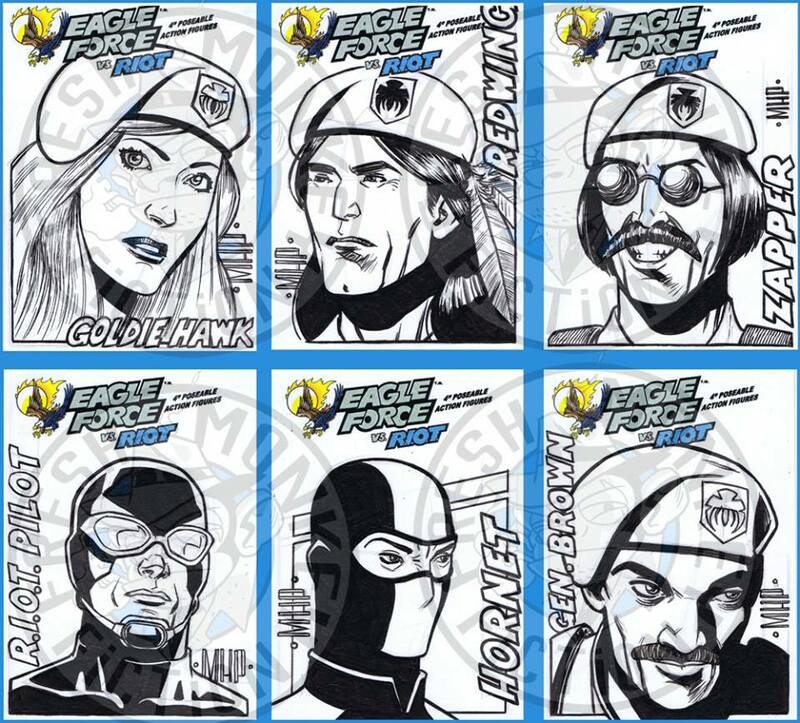 While on the topic of Kickstarters, make sure you check out the ongoing Eagle Force Returns Trading Card Set Kickstarter Campaign! The campaign is blowing through stretch goal after stretch goal and now there’s a TON of cool stuff coming to those who have contributed, so make sure you get on that while you can! You can get in on all the Eagle Force excitement and check out a full image of General Brown after the break! Special thanks go to our friends at Fresh Monkey Fiction for the reveal!